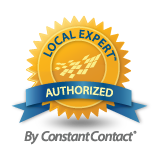 ﻿ Red Mango Marketing Selected as a Constant Contact Authorized Local Expert » Red Mango Marketing! Plano, TX — September 1, 2015 – Karen Wucher, president of Red Mango Marketing, has been selected as an Authorized Local Expert by Constant Contact®, Inc., the trusted marketing advisor to more than 600,000 small organizations worldwide. As an Authorized Local Expert, Karen will offer training seminars on best practices in online marketing in the north Texas area. Red Mango Marketing has partnered with Constant Contact since 2009, attaining Solution Provider status in 2011. Red Mango Marketing will host free seminars and training workshops in the north Texas-area focused on using marketing strategies to find new prospects, engage key audiences, drive dialogue, and build relationships. These strategies include a framework that shows how different marketing campaign types all fit together, to deeper dives into the specific campaigns and tactics: newsletters and announcements, offers and promotions, online listings, events and registrations, feedback, and mobile. This entry was posted on Wednesday, September 2nd, 2015 at 3:27 pm	and is filed under uncategorized. You can follow any responses to this entry through the RSS 2.0 feed. Both comments and pings are currently closed.